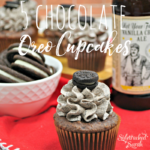 These 5 Chocolate Oreo Cupcakes Are Drool-Worthy, Delicious Desserts That The Whole Family Will Love! I love chocolate, including these two favorites, Chocolate Lava Brownie in the Slow Cooker and To Die For Peanut Butter Chocolate Divine Recipe. There’s nothing like a delicious, chocolatey treat is there? 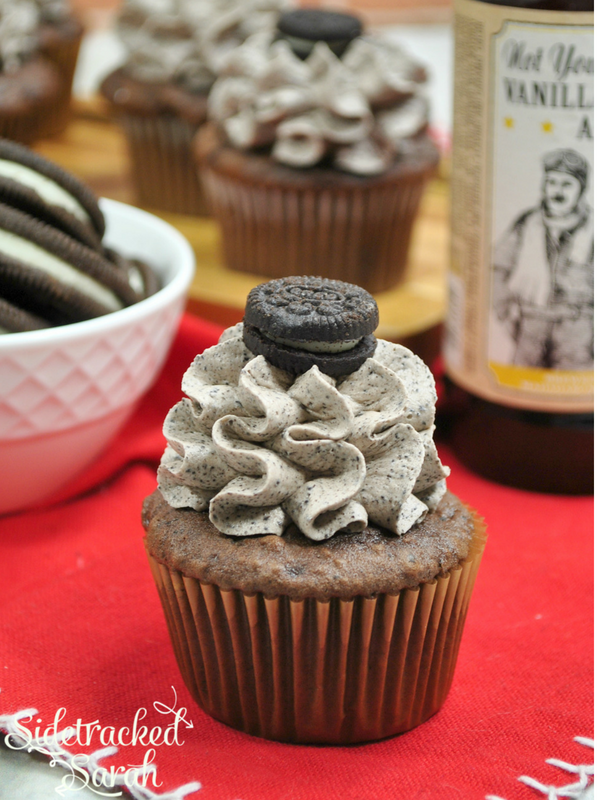 Well, these Oreo cupcakes are about to make you so happy, you won’t know what to do with yourself! 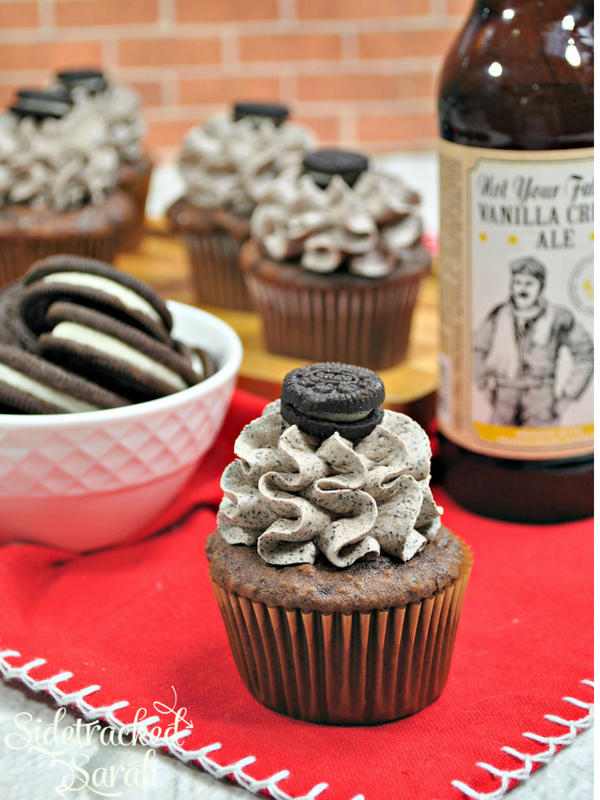 With a hint of coffee granules, these cupcakes explode in your mouth! 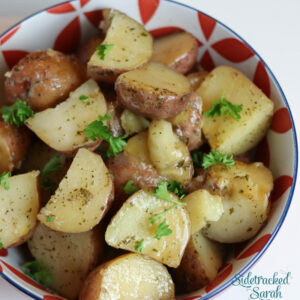 My whole family loves how yummy these are and can’t wait to devour them immediately after they are done! DO I HAVE TO USE COFFEE? DO I HAVE TO USE NAME BRAND OREOS? No! 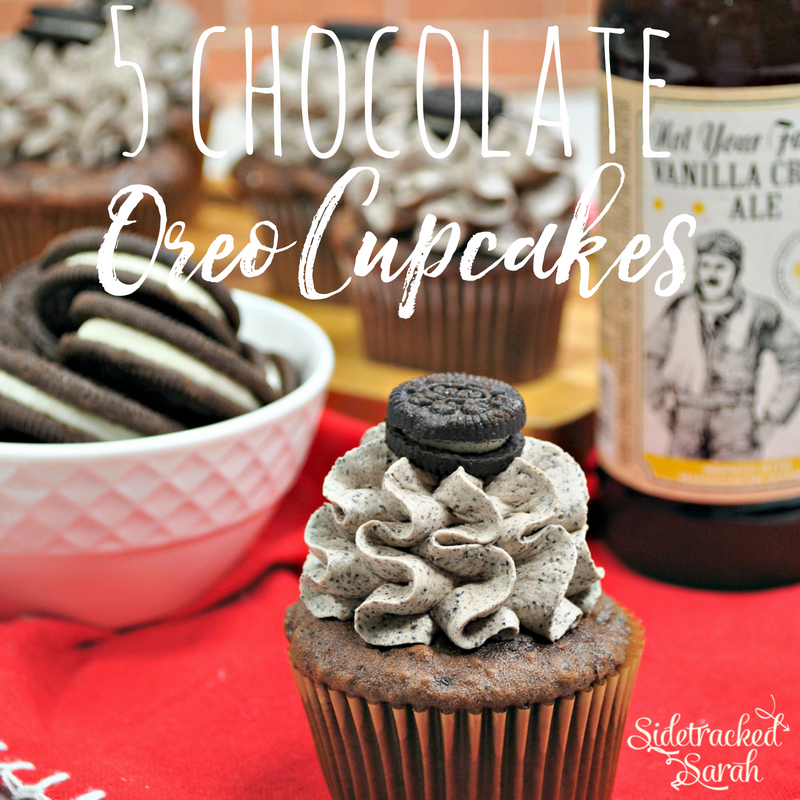 You can use any chocolate cookies with cream in the middle for this recipe! Either way, it’ll be delicious! WHAT’S THE BEST WAY TO CRUSH THE OREOS? If you have a food processor, that would be best. If not, you can do it by putting it in a bag and crushing them with your hands (kids have fun with this!) or just beating up with a fork or spoon, though that may get messy! I DON’T HAVE A STAND MIXER – HOW DO I MIX THE FROSTING? A hand held mixer is always fine. Or, you can just break out that spoon and bowl and start mixing! Just be sure that everything is really well mixed before you start frosting the cupcakes. You don’t want to have chunks in the frosting! WANT MORE DELICIOUS DESSERT RECIPES? baking soda, and salt, sift to combine. Add the instant coffee to the 4 cup boiling water and mix until dissolved. Add the coffee to the mixing bowl and mix. Pour the batter in the cupcake liners. large mixing bowl using an electric mixer. Mix on medium-high speed until the mixture is combined. Add the Oreo crumbs on low-speed and combine. Pipe the frosting on the cooled cupcakes. 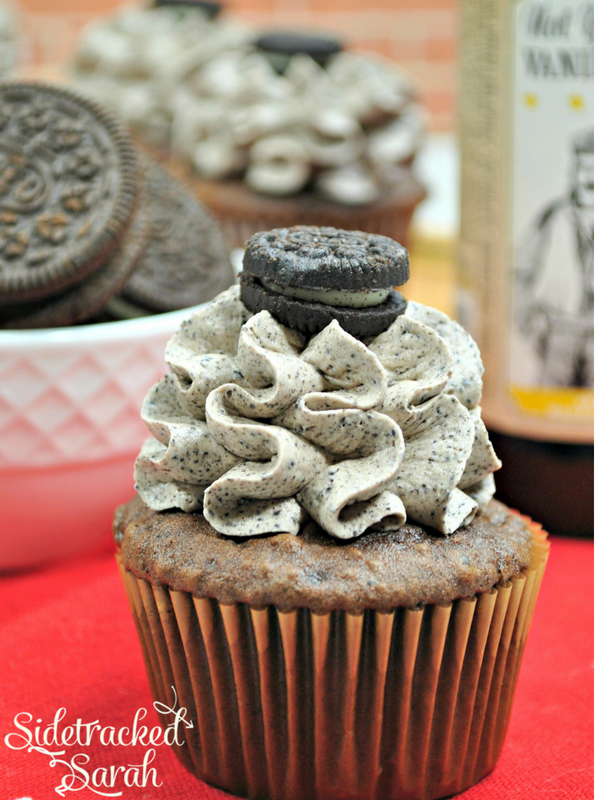 Garnish each one with a mini Oreo. 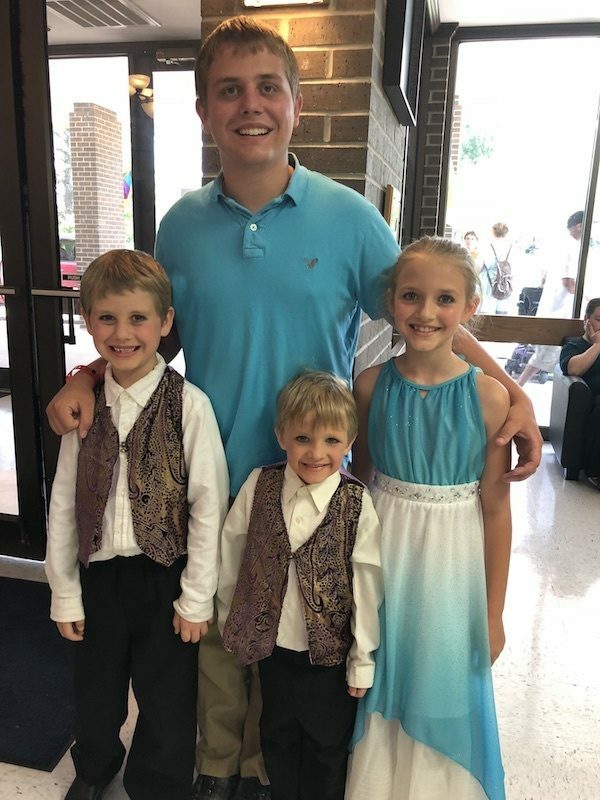 Last month, 2 of my younger kids were in Children’s Summer Theater and got to be in the musical Cinderella Kids. The picture below is my 2 kids that were in the play, along with my oldest son. The smallest child in the middle is my best friend’s son. He and my youngest son were both 6 at the time and Town Criers in the play, where they announced the Prince’s ball. They were so cute! My daughter, was in the chorus. We had so much fun watching them!